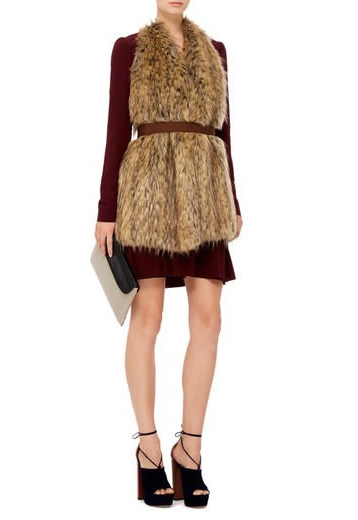 I'm obsessed with Stella Jean's clever take on the faux fur vest. Since it's backless, it adds warmth without heft! Perfect for layering under jackets or over lightweight sweaters.